Managing Scheduled Lessons for the first time. We are going to login as the supervisor we just created because supervisors are most likely to Manage Schedules. Everything a supervisor can do can also be done by an Admin so these steps will also work for admins. Click on Manage to bring up the Supervisor Dashboard. 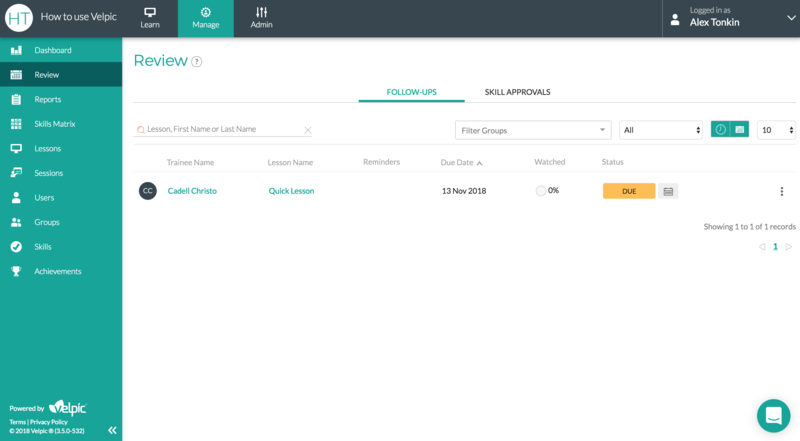 This gives an overview of current training schedules and gives the Supervisor the ability to drill down using the groups filter and clicking on the pie chart to bring up the Review page with the appropriate filter. Click on the Review menu item under Manage. Review allows you to see upcoming training that is scheduled for the Trainees you manage. We can the status of the lesson schedule (scheduled, due, overdue) as well as the Trainee's progress into the lesson. 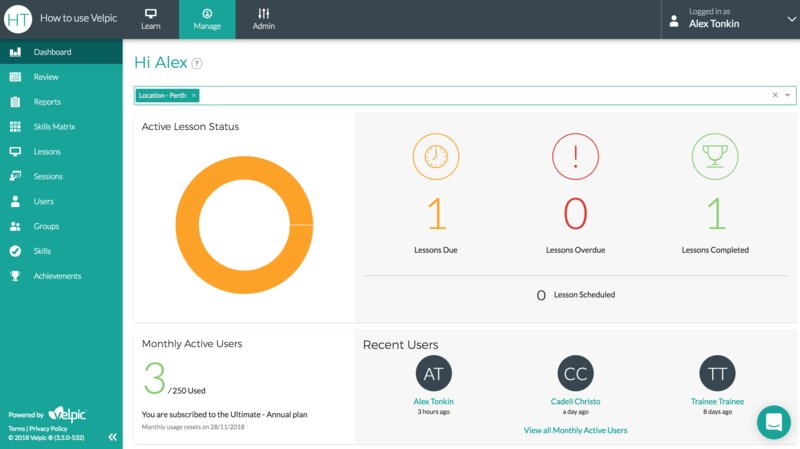 We also have a variety of filters available to find scheduled lessons. We can action these Schedules either individually, using the ellipsis on the right, or by selecting multiple schedules using the checkbox behind the Initials Avatar on the left. 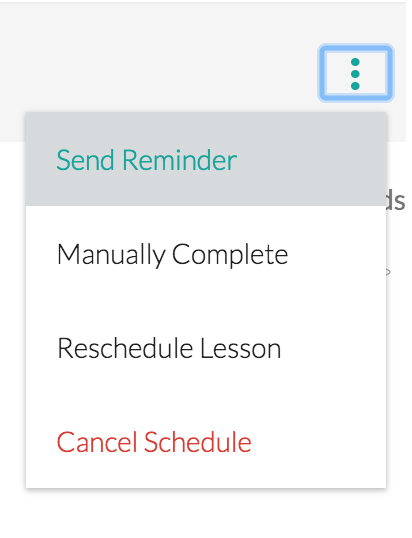 Sending Reminder - A reminder email sent to the user to prompt them to complete their lesson. Manually Complete - Manually mark the lesson as completed. Cancel Schedule - To cancel the scheduled lesson altogether. If these actions don't make sense for your organisation you can customise what actions a supervisor can perform using the Roles and Permissions feature. Ask the team for more. 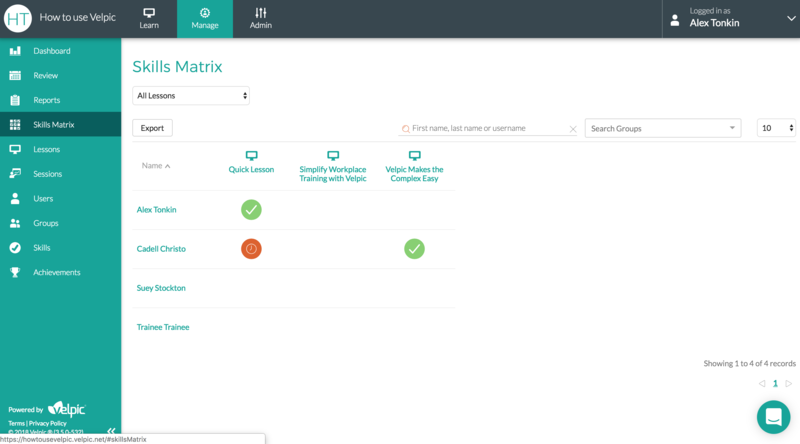 The Skills Matrix is a pivot table that allows you to see the status of a Schedule on a per Trainee and per Lesson basis. It offers an additional perspective to the Review page because it can also show completions. We've just managed scheduled lessons for the first time in Velpic. This article is part of Getting Started.